Previda®-DX is designed to identify single gene defects in embryos prior to implantation. Single gene disorders are genetic conditions caused by a change or mutation in a specific gene. Individuals with a family history of a genetic condition may be at risk of passing the condition on to their children. Preimplantation genetic testing for monogenic/single gene disorders (PGT-M) is recommended for parents undergoing IVF who are at high risk of passing a genetic condition to their offspring. Your results from the Previda®-DX test can allow your physician to select and transfer the embryo that is free of a specific single gene mutation. 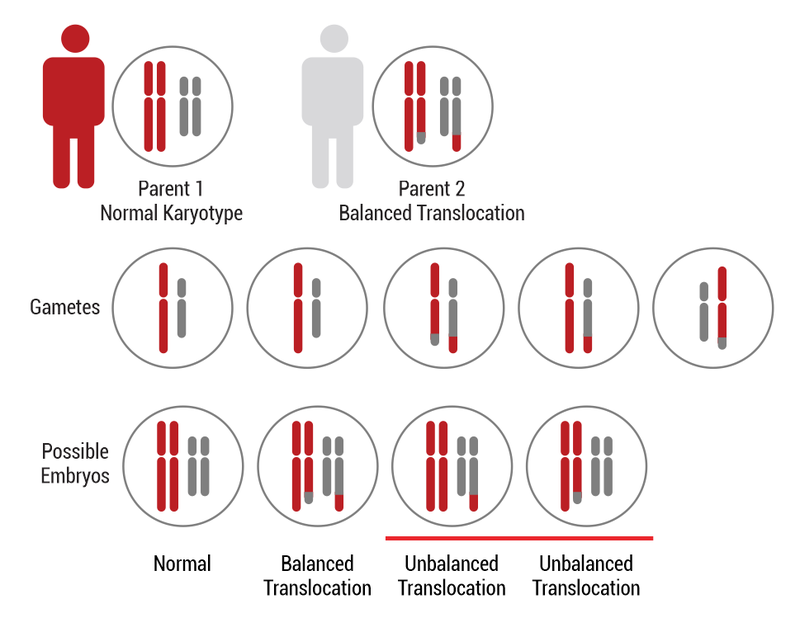 Couples that have experienced recurrent miscarriages or unsuccessful pregnancies may be carriers of chromosomal structural rearrangements (translocations). In these cases, Previda®-DX can help reduce the risk of miscarriage by screening for embryos with unbalanced translocations and selecting embryos with a normal karyotype. Find out if Previda®-DX is right for you.